The 139 bln-euro Magnum ice-cream owner may attract uppity investors for the same reasons Kraft Heinz came calling: low margins and relatively little debt. CEO Paul Polman could keep them at bay by aping GE and seeking an activist’s advice. But he’d have to be willing to act. The logo of the Unilever group is seen at the Miko factory in Saint-Dizier, France, May 4, 2016. 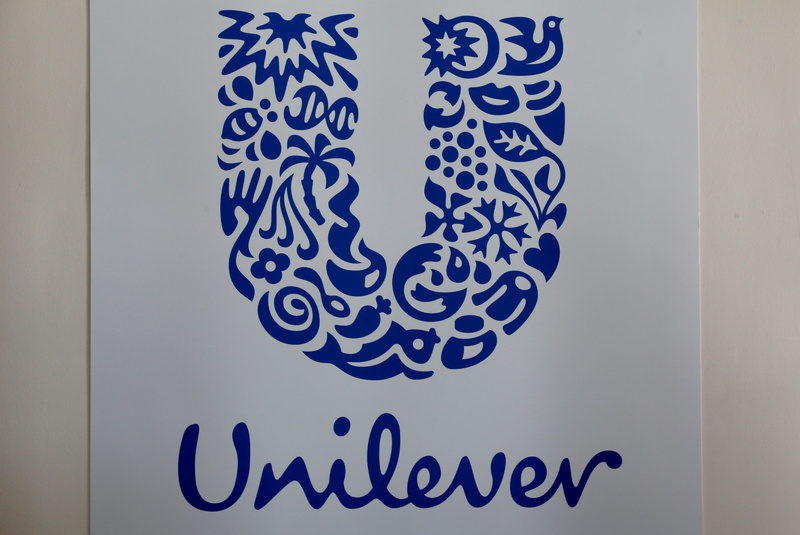 Consumer goods group Unilever is expected to publish a review of its options to increase shareholder value in early April. "The events of the last week have highlighted the need to capture more quickly the value we see in Unilever," the company said in a brief statement on Feb. 22 when the review was announced. U.S. food company Kraft Heinz and Unilever said on Feb. 19 that Kraft Heinz had withdrawn its $143 billion proposal to combine the two companies. In 2013, GE invited Nelson Peltz, chief executive of hedge fund Trian Partners, to speak to its top executives and several board members with an emphasis on corporate costs. Since then, Trian has had several discussions with the industrial group's management about its corporate structure and improving shareholder returns. Trian took a $2.5 billion stake in the company in late 2015.